1) What does the air smell like? Salt or acrid or anything? 2) When is the nicest time of year to go? 3) Is the elevation very high? Do folks have problems with thin air etc? 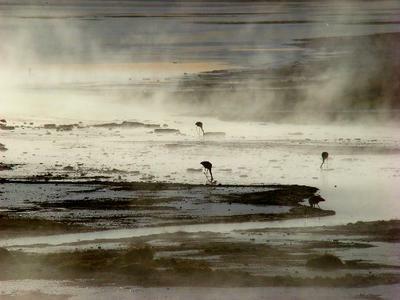 4) What is the most common animal to see out on the flats themselves? Or are they just at the hot springs etc?